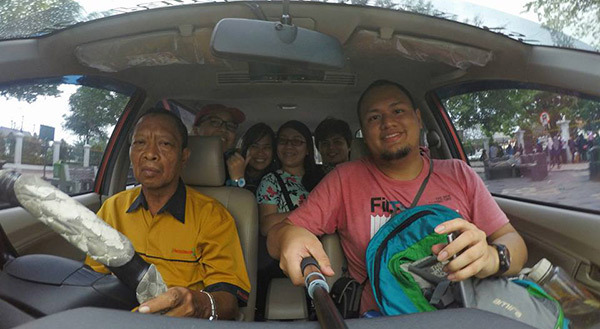 A parody news article with video and photos featuring an Indonesian taxi driver who looks like vice president Jojo Binay has gone viral. With an apparent change of heart, Vice President and presidential candidate Jejomar Binay has thrown the towel early in the presidential fight. Liberal Party candidate Mar Roxas revealed that Binay, after a Three Hour meeting, has agreed to drop from the race in exchange that Mar's administration will turn a blind's eye on the alleged corruption by Binay, thereby allowing the latter to keep his millions. "I had an epiphany in my sleep and will not push through with the campaign. I have earned a lot during my term as Mayor of Makati and Vice President. I had so many properties from the taxes of our people and I am very very sorry. I am now giving up and i will be endorsing Mar Roxas for president. Please vote for him." "I have been working all my life and have earned a lot of money and properties but it has always been my passion to drive, now I will pursue my dream by being a Taxi driver in my new company: 'Only Binay Taxi.'" Sources say though that Binay has also taken his millions with him to Indonesia to build a Chicken Church. Facebook user Cess Barcenas posted the article and photos last March 23. 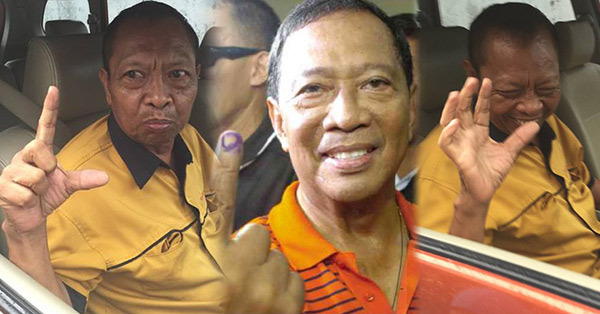 She added a video and some more photos of the Binay look-alike two days later. Her posts got thousands of likes and shares already.